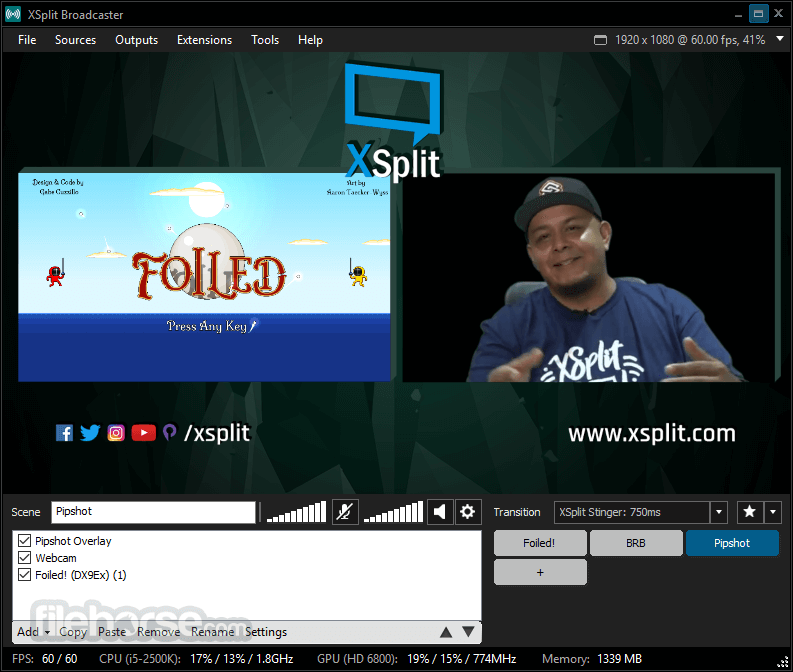 XSplit Broadcaster is a simple yet powerful live streaming and recording software for Windows PC, that powers countless live streams and recordings around the world and is the perfect choice for producing rich video content with the video games you love. 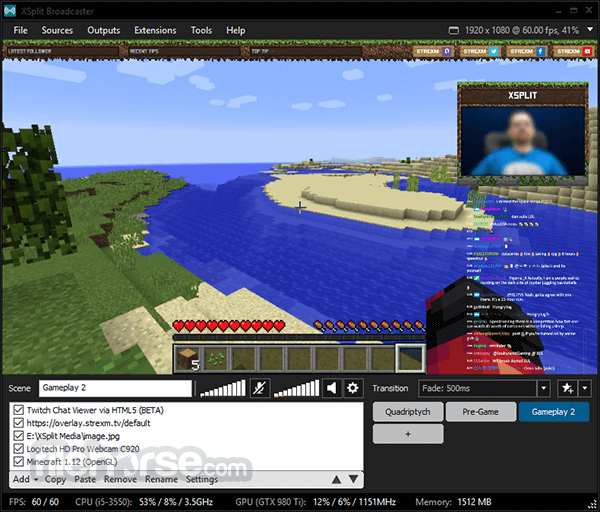 It's easier than ever to add, resize and reposition your webcam, whether you're streaming or recording gameplay. Activate Chroma Key and make your broadcast even more immersive using a green screen transparency effect. 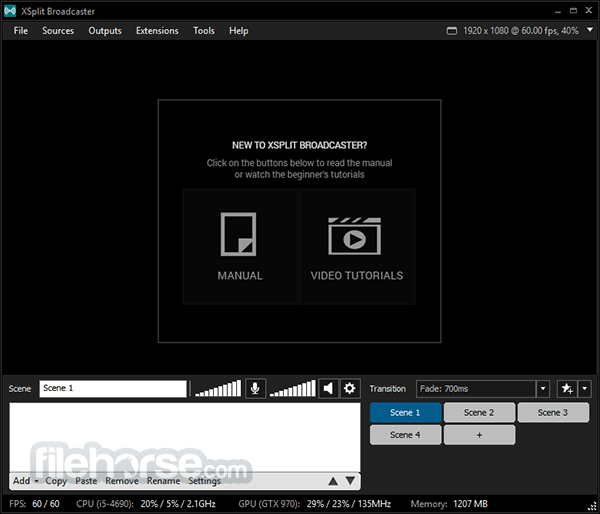 If XSplit Broadcaster, is your canvas then multimedia sources are your paint. When producing a broadcast, add everything from your videos and music to your webcam and remote guests from skype. Utilize enhanced audio features for higher fidelity sound, and preview and edit new shots before going live with our scene preview editor. 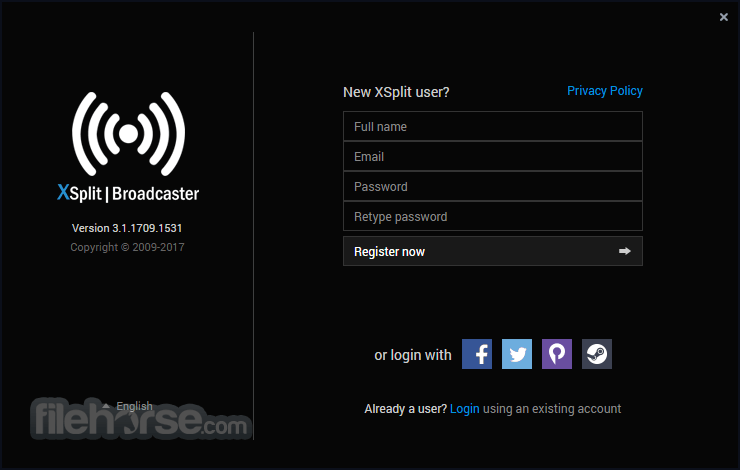 XSplit Broadcaster features a wealth of customizations thanks to our plugin store, letting you further personalize your broadcast with donation alerts, music requests and more. You can even develop your own! The possibilities are endless.